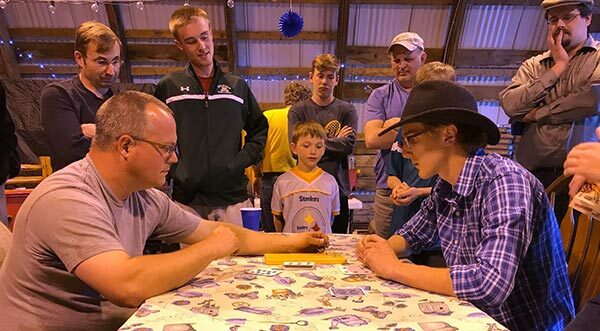 With 42 participants in the 2017 S-Backwards Cribbage Tournament, the odds of winning (and getting one’s name etched into the original, legendary board) were theoretically 2.4%. With that as a backdrop, the cribbage tournament ensued. Like the FIFA World Cup, all participants took part in group play. 1st and 2nd place in each group advanced to the 16-man bracket. It was not a low-calorie event. 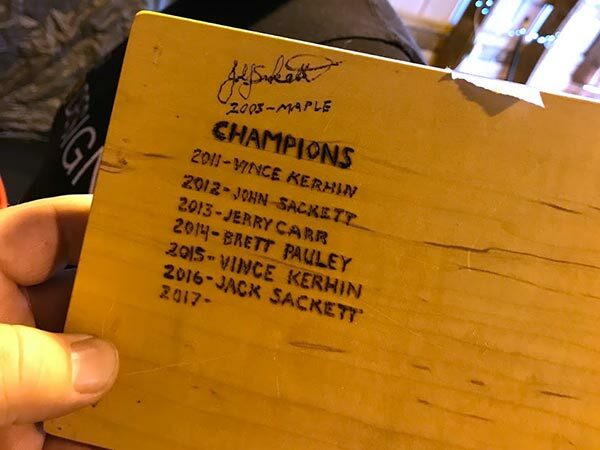 Congratulations to Jerry Carr, 2017 Champion (2nd time!) beating Jack Sackett (repeat finalist). Jerry Carr strolled in and won all 5 round robin games and all four games in the Finals. Congratulations to Andrew and Jaime Gathje, team champions. Andrew is 12-2 in team play with three team titles. Special recognition goes to Charlie Sackett for winning the 2017 Grabrick Award for his winless performance. 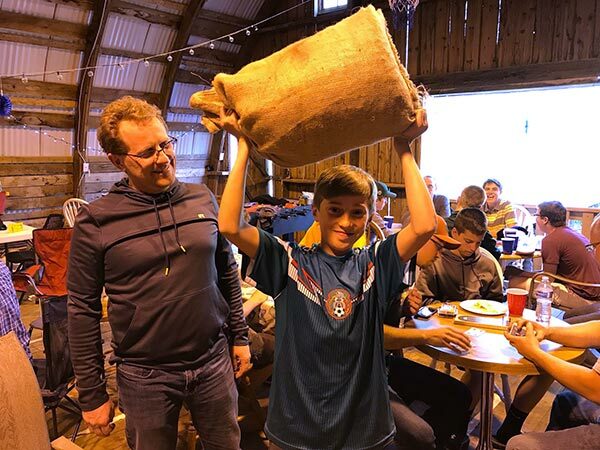 Upon losing his last game, he was presented with a 45lb. bag of alpaca compost.